35-year-old seriously injured in combination ramming, stabbing attack in Gush Etzion. 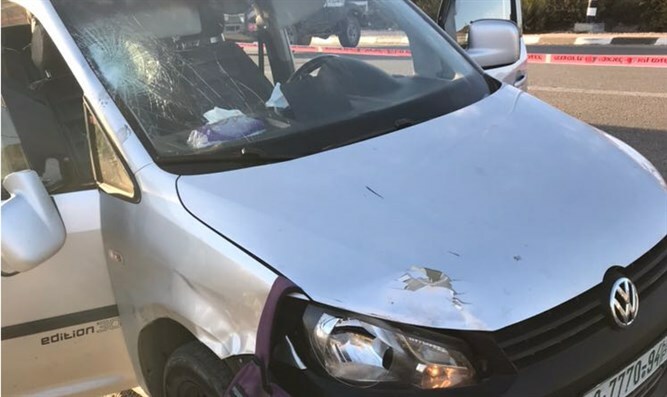 An Arab terrorist carried out a combined ramming and stabbing attack in Gush Etzion on Friday morning, leaving two Israelis injured, including one in serious condition. 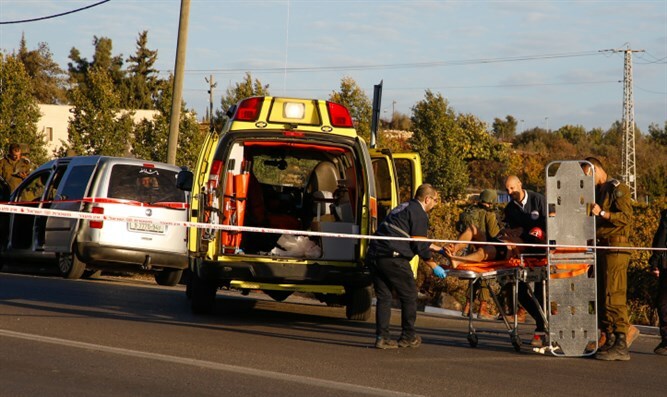 The terrorist ran over a 70-year-old man at the Efrat south junction, lightly injuring him. The victim was evacuated to Shaarei Tzedek Hospital in Jerusalem. The terrorist then continued to the Gush Etzion junction, where he ran over a 35-year-old man. The 35-year-old suffered a head injury and was evacuated to the Hadassah Ein Kerem Hospital in Jerusalem, MDA reported. He is currently in serious but stable condition. The terrorist then attempted to stab a soldier and was shot and neutralized by the security forces at the scene. “The soldiers responded by firing towards the attacker, resulting in his injury,” an IDF spokesperson said Friday morning. Authorities say the terrorist is a 17-year-old Palestinian Authority resident. The wounded terrorist was treated on the scene by IDF medics before being evacuated to Ein Kerem Hospital. Separately, IDF soldiers detained three wanted terrorists in Judea and Samaria overnight Thursday, one of whom is suspected of involvement in popular terror activities and violent disturbances against civilians and security forces.